Looks superb in tarmac spec but gravel wheels are going to struggle to fill those arches..
...but in colour all be it 2016 colours it looks OK to me. 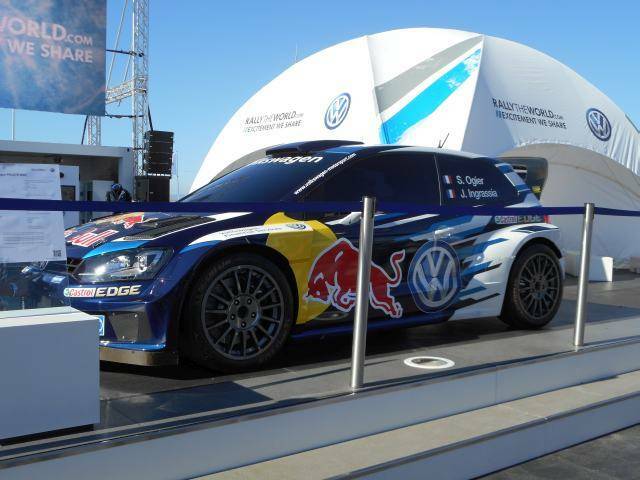 This was seen at Rallye Spain Service Park on the VW stand at the weekend. The main problem with the current bunch of cars is that they nearly all look the same shape and all sound the same. The colours of all the cars is brilliant but a real nightmare for model makers. They look more and more like kit cars. Bring back some proper rally cars.